Nantucket, MA – The Maria Mitchell Association is excited to announce that the Natural Science Museum will be open on Saturdays this winter from 10 am to 2pm. While open, the Museum will run a feeding program, “Very Hungry Vertebrates,” in the mornings. “We are delighted to offer year round families and winter visitors an opportunity to enjoy our Natural Science Museum with all our new hands-on exhibits and interesting animals” said Executive Director, David Gagnon. The Natural Science Museum is located at 7 Milk Street and is a great way to pass the winter weekends with children of all ages. There are live animals, all found on Nantucket or its surrounding waters, including a bullfrog, jellyfish, turtles, snakes, and tropical fish. The tropical fish were found around Nantucket, but are not native species; they find their way up in summer trapped in warm core eddies. This winter the Natural Science Museum is hosting animals that have never been on display at the Maria Mitchell Association before, including the Ocyropsis crystalline, which is a type of comb jelly, and the bioluminescent crystal jellyfish. Marine exhibits will rotate throughout the winter and will feature new species in the future. The Museum has interactive, educational exhibits where children can learn while playing, as well as biological collections, fossils, and a topography table where imaginary landscapes can come alive. Before the Museum opens, the MMA will host “Very Hungry Vertebrates” from 9:00-9:40am. Participants will get to watch the Museum staff feed the snakes, fish, turtles, and tortoise and learn about the animals feeding ecology and how they are affected by seasons. The program is $5 for Members and $10 for Non-Members. Limited space is available so pre-registration online at mariamitchell.org is recommended. The Museum will be open from 10:00am – 2:00pm and will be free for Members, $5 for Non-Members. Membership purchased before the end of 2018 will be valid through 2019. Memberships can be purchased online at mariamitchell.org. The Maria Mitchell Association is a private non-profit organization. Founded in 1902, the MMA works to preserve the legacy of Nantucket native astronomer, naturalist, librarian, and educator, Maria Mitchell. The Maria Mitchell Association operates two observatories, a natural science museum, an aquarium, a newly opened research center, and preserves the historic birthplace of Maria Mitchell. A wide variety of science and history-related programming is offered throughout the year for people of all ages. This year celebrates Mitchell’s 200th birthday with special lectures, events, classes, and exhibits all year-long. Nantucket Magazine published an article celebrating Maria Mitchell’s life just in time for her 200th birthday celebration. Read the article here to learn more about Maria Mitchell. The Cape and Islands’ Daily Newspaper featured an article about the beetle research that the MMA is doing with the Roger Williams Zoo. Read the article here. Nature’s article celebrates the life of Maria Mitchell for her 200th birthday. 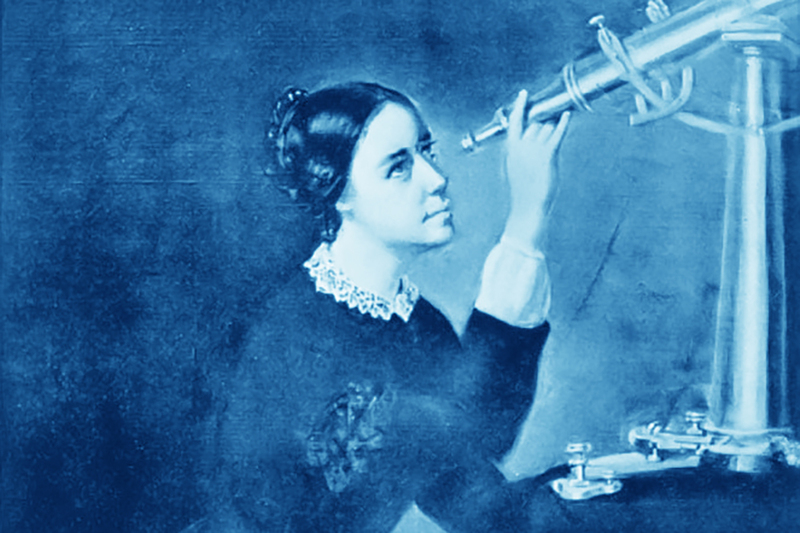 Read the article here to learn more about the life and impact Maria Mitchell had on science. The Inquirer and Mirror published an article about horseshoe crab mating in the waters of Nantucket. Read the article here. Yesterday’s Island, Today’s Nantucket published an article featuring the MMA’s Executive Director, David Gagnon. Read the article here to learn more about the behind-the-scenes work of the MMA’s Executive Director.